Home Heart Diseases Know The Risk Factors Associated With Heart Attack Before It Attacks You! Know The Risk Factors Associated With Heart Attack Before It Attacks You! Heart attack is the leading cause of death of men and women in United States. Heart attack is a permanent damage to the heart muscle. There are many risk factors associated with heart attack. Know and identify the risk factors associated with heart attacks to prevent before you become a victim [Prevent heart disease risk factors]. Smoking is a major cause of heart attack. Smoking damages heart and blood vessels. 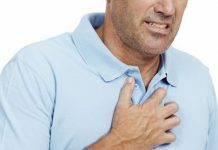 Most heart attacks are caused by atherosclerosis. Atherosclerosis is a condition in which the arteries become hard and clogged. Clogged arteries prevent in getting enough blood and oxygen to the heart and can cause chest pain or angina. When a blood clot is formed, it cuts off the blood flow suddenly in the artery and cause heart attack. Smoking speeds up the process of atherosclerosis by damaging the cells lining the blood vessels and heart. Smoking increases the risk of blood clots because of atherosclerosis and it also causes the blood platelets to clump together. 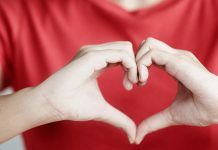 Estrogen hormone provides some protection in women from heart disease. 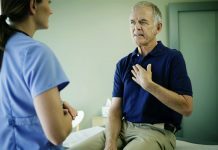 Therefore, most women have heart attacks after menopause, especially ten years after menopause due to the decrease of estrogen in their body. Women who have high blood pressure, metabolic syndromes, high cholesterol levels, smoke, family history of heart disease and who had their ovaries removed are prone to develop the heart attack. Certain compounds present in fried foods can lead to heart attack. Foods high in advanced glycation end products (AGEs) can cause a short lived dysfunction in blood vessel dilation that can lead to heart attack. The foods that can lead to heart diseases are French fries, hamburgers, and other fatty foods that are cooked at high temperatures. People who cut their sleep from seven hours to four hours or less face twice the increased risk of death from heart attacks. Lack of sleep frequently can increase the chances of heart attack. Working overtime can lead to sleep loss, which increases the blood pressure and heart rate while chronic stress can lead to abnormalities in functioning of heart. Diabetes is a risk factor of heart attack and stroke. People with diabetes have other health problems that increase the chances of heart attacks. That is why those with diabetes need to watch their diet with a blood glucose monitor device. High blood glucose levels over time can damage blood vessels, which results in thicker and less elastic blood vessel walls and makes it more difficult for the blood to pass through. People with diabetes have abnormal blood fats, which include lipids, triglycerides, and cholesterol that are caused by poor controlling of diabetes and diet. 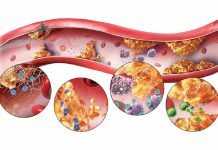 Elevated lipids can clog blood vessels and increases the risk of heart attack and stroke. People with high blood pressure are more likely to develop heart diseases because high blood pressure puts added force against the artery walls. This extra pressure can damage the arteries. These damaged arteries become narrow and harden by fatty deposits. Damaged arteries cannot supply enough oxygen to the other parts of the body. Therefore, high blood pressure can increase the risk of stroke and heart attacks. Control high blood pressure with lifestyle modifications. Quit smoking to cut the risk of heart attack by 50 percent. Sleeping seven to eight hours is important for a healthy heart. Control your glucose levels to prevent damage to the blood vessels. Following healthy lifestyle can help to prevent heart attack. Compression stockings from RejuvaHealth.com can help with circulation and blood flow decreasing the risk of cardiovascular issues. Follow a diet rich in fruits and vegetables. Watch carefully the intake of types of fat that you are taking in your diet. Lower your intake of salt. Lose weight if you are obese. Limit the intake of alcohol and other caffeinated beverages. Exercising regularly improves the fitness of your heart.